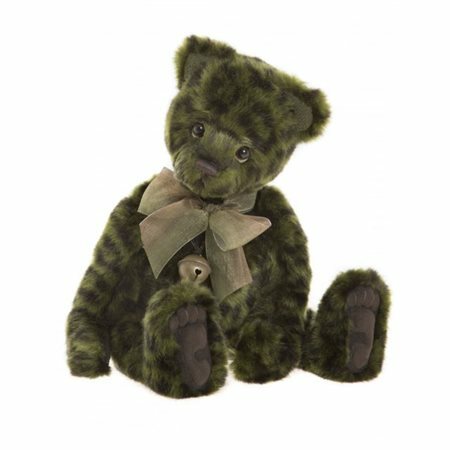 Add Lime Pickle to your Charlie Bear collection and give this adorable little teddy bear a loving new home. Lime Pickle has a lime green spotted plush fur coat with a bow, necklace and bell. Lime Pickle is part of the new Happily Ever After collection by Charlie Bear for 2018.